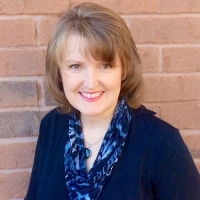 In this blog, you'll find recent updates from our Mississauga dental practice and other information that our dentists feel is important. Some days at Lorne Park Dental Associates are extra special. Charlotte has needed a filling for over a year but was too afraid until now. Charlotte did awesome! What a great accomplishment. Way to go, Charlotte! 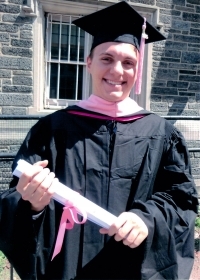 Dr. Fasciani and Mom are very happy for you. The holiday season is a special time with decorations, gatherings and good wishes. Our Lorne Park Dental team wishes everyone Happy Holidays and a very Merry Christmas! Thanksgiving is a special holiday. It's a time to reflect and give thanks. At Lorne Park Dental Associates in south Mississauga, we have many things to be thankful for. 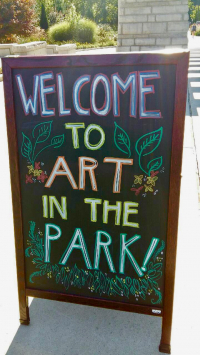 Visual Arts Mississauga's Art in the Park 2018 was a fabulous event! 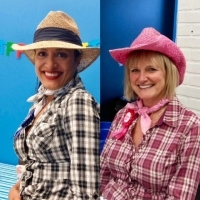 Lorne Park Dental Associates was pleased to sponsor the musical performance stage and enjoyed showcasing some our staff's artistic efforts too. The summer of 2018 is a wrap and what a great summer it was! 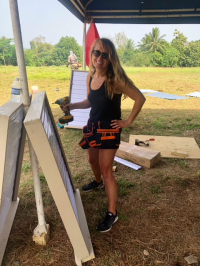 A very special and noteworthy experience was had by Dr. DeAngelis and her daughter, Kayla when they helped to build a school in Jamaica! 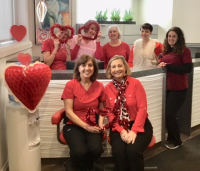 We're a dental office with HEART, in the heart of Mississauga! ♥ Happy Valentine's Day to all of our wonderful patients and your loved ones! 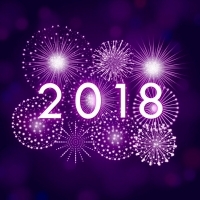 It’s that time of year again when we plan for the new year. With all the excitement of the holidays we can often get caught up in the commercial aspect that accompanies this time of year. But it doesn’t have to be so. One of our favourite events of the year is when our Lorne Park Dental team gets together to enjoy good food, fun and friendship as we celebrate the season. Here are some photos from our recent night out. Looking great and no scrub uniforms in these pics! 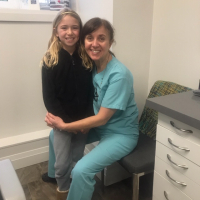 We're please to introduce you to Kaya, the newest member of our Lorne Park Dental team! 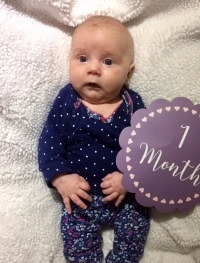 Congratulations to our dental assistant, Joanna and family on the birth of this sweet girl! The Thanksgiving Holiday is a time to reflect on what we are thankful for. At Lorne Park Dental Associates, the list is long! 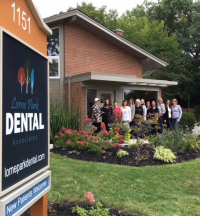 At Lorne Park Dental we are grateful for the ongoing support of our dental practice by the wonderful people from our local community of Lorne Park, as well as those that come to us from other parts of Mississauga and beyond. Recently, it was our pleasure to support a fundraiser for SickKids at Battaglia's Marketplace and also the Visual Arts Mississauga, Art in the Park event. Lorne Park Dental is a busy place with a lot going on behind the scenes to prepare for your visit. Before you enter the building, please be assured that infection prevention and control is a top priority and that a clean environment with sterile instruments is waiting for you. 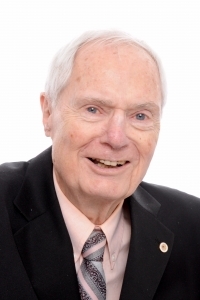 We wish to share the news of Dr. Jack Cudmore's passing. Many patients benefited from Dr. Cudmore's fine dental skills at our Lorne Park Dental site, in Mississauga from 1956 to 1991. A well respected dentist, much of his work still exists and has stood the test of time. Our sympathies to the Cudmore Family. At Lorne Park Dental, we LOVE our patients. Happy Valentine's Day! The best dental experiences happen in a comfortable environment. 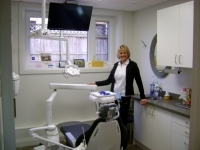 The renovation of all five of our Lorne Park Dental Associate's treatment rooms is done...and we're thrilled with the results. We think you will be too! Celebrating a year of fun, friendship and fine dentistry at Lorne Park Dental in Mississauga... We hope you enjoy these photos from our special evening together! There has been a lot of action at Lorne Park Dental recently as we update our treatment rooms. The results are fantastic! Here's a peak at our most recent room renovation. 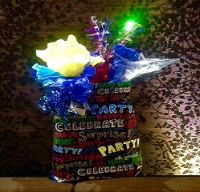 At Lorne Park Dental we know how important special birthdays are. We had a great time helping Dr. Fasciani celebrate hers! Dr. Rosanna Fasciani and Lorne Park dental hygienists, Lori & Jenny enjoyed a wonderful social evening with old and new friends on the Halton-Peel Dental Association's Toronto harbour cruise. 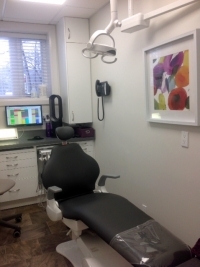 Lorne Park Dental office in Mississauga shares a Makeover Update - Treatment Room #2 is looking great...comfortable and ready for you! 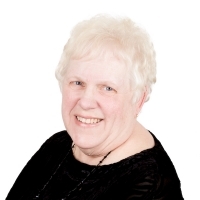 25 years in practice is around the corner for Dr. Rosanna Fasciani and many of us at Lorne Park Dental Associates in Mississauga. With that, we are excited to announce that our dental office makeover has begun! 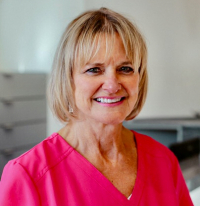 After almost 22 years of dedication and commitment here at Lorne Park Dental, Donna is ready to relax and enjoy the next amazing chapter in her life, retirement. Remembrance Day marks the anniversary of the official end of World War 1 hostilities. A two minute silence is observed at 11am on the 11th day of the 11th month to mark the date and time when fighting stopped. Government buildings fly the Canadian flag to remind us of those who fought for Canada. 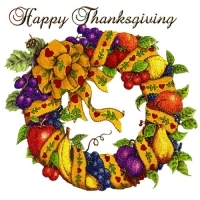 Wishing all of our Lorne Park Dental friends and family a very Happy Thanksgiving Holiday! The secret to a memorable photo begins with the joy you feel inside. It is then accentuated by what you wear, including your smile! 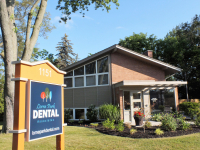 Lorne Park Dental is located in Mississauga, Ontario, and offers a wide range of general and cosmetic dentistry services for children, adults, and seniors.